What are the central global issues humanity is facing today? How dire is the future really going to be? And what are possible ways to turn this world into a better one? These are the questions that the book Our World to Change! adresses. This publication does not only explain figures related to economics, finance, ecology, nutrition and immigration, but also presents suggestions and alternatives from specialists in these fields - a book that every informed citizen should keep under their pillow. The overall goal of Our World to Change! is to visualize the state of our world and possible ways to change it. For this mission the Intégral Ruedi Baur graphic design studio teamed up with the globalization-critical organization Attac, which provided the necessary data. By visualizing facts that concern each and everyone of us, Our World to Change! makes pressing topics visible. This is necessary since issues like inequality and climate change are often viewed as complex, abstract topics. Our World to Change! 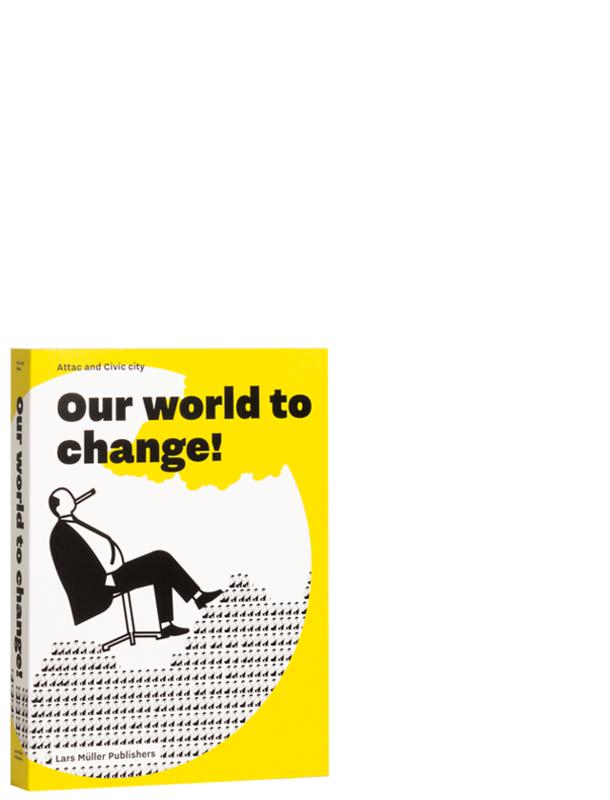 is a formal homage to the sociologist Otto Neurath and the graphic designer Gerd Arntz, who created the Isotype – an international education system by typographical images – in the 1920s. Graphic designer Ruedi Baur, who also co-founded the institute for critical design research Civic city together with Vera Baur, revived Otto Neuraths iconic Isotype figures to visualize the state of the world today. While these figurines were already part of last years' art biennial Manifesta 11, controversially themed "What people do for money", in Our World to Change! they take a more radical stance in critizising global inequality. Ruedi Baur, born in Paris in 1956, received a degree in graphic design. In 1989 in Paris and in 2002 in Zurich, respectively, he founded his two studios: intégral ruedi baur et associés and integral ruedi baur zürich.